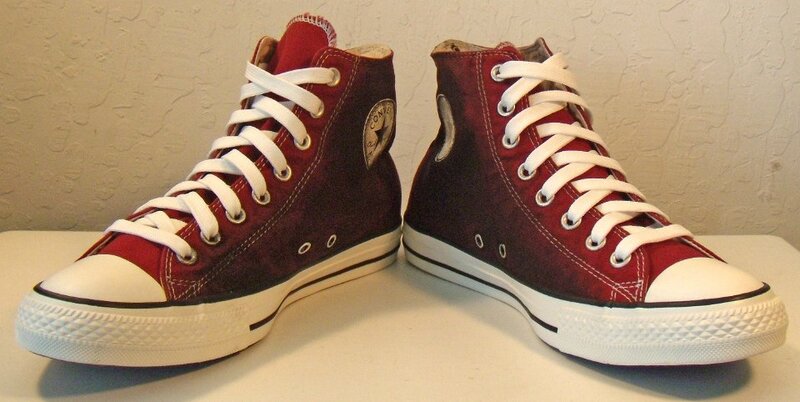 Photo gallery of a new pair of brick sunset wash high tops. 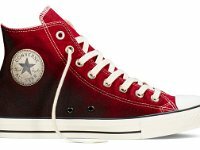 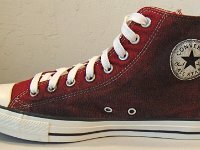 1 Brick Sunset Wash High Top Chucks Inside patch view of a right sunset wash brick high top. 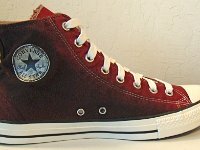 2 Brick Sunset Wash High Top Chucks Outside view of a right sunset wash brick high top. 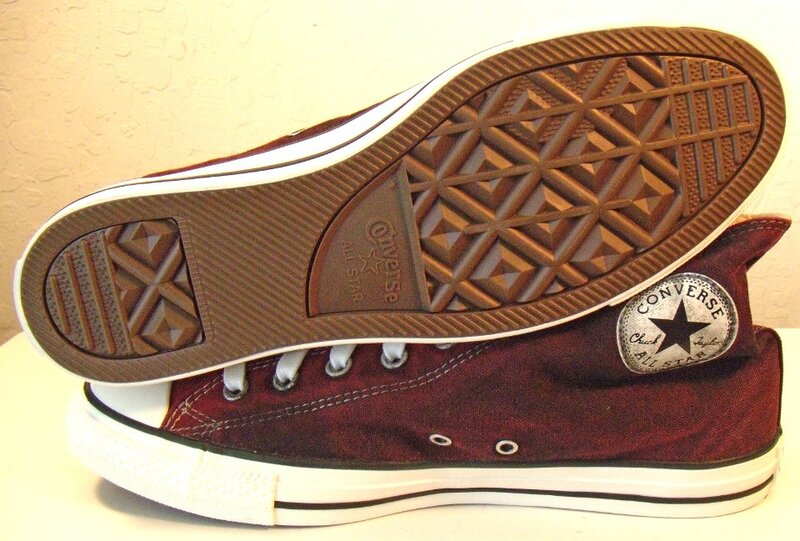 4 Brick Sunset Wash High Top Chucks Outside view of a left sunset wash brick high top. 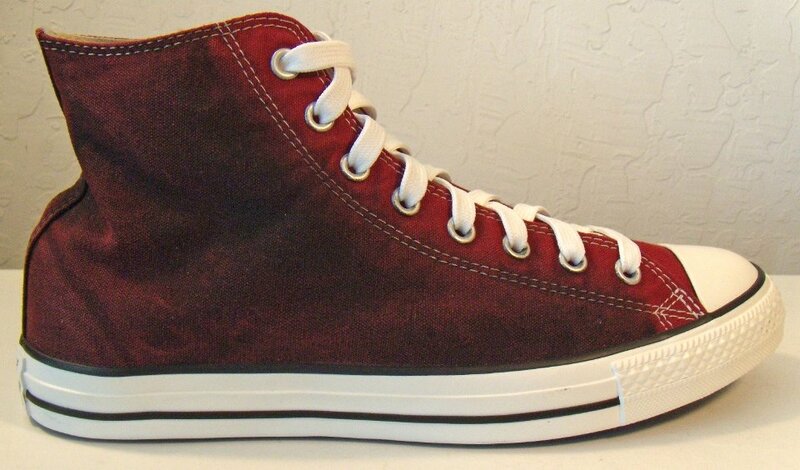 5 Brick Sunset Wash High Top Chucks Rear view of sunset wash brick high tops. 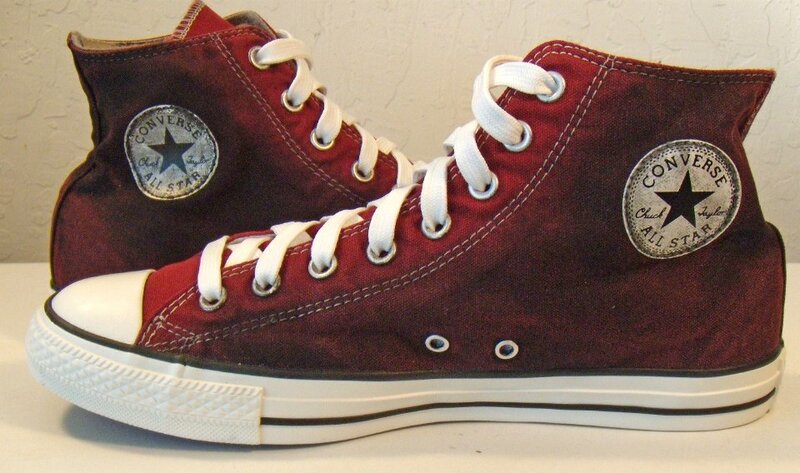 6 Brick Sunset Wash High Top Chucks Angled rear view of sunset wash brick high tops. 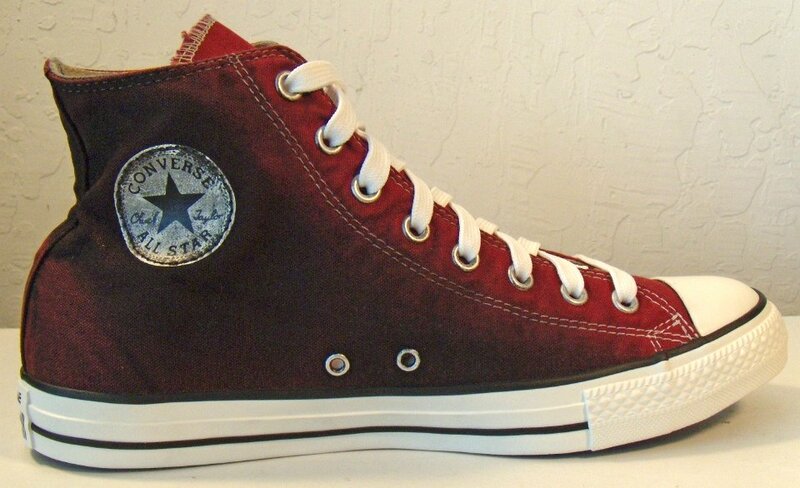 7 Brick Sunset Wash High Top Chucks Angled side view of sunset wash brick high tops. 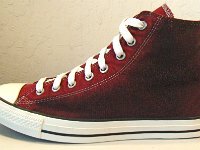 8 Brick Sunset Wash High Top Chucks Front view of sunset wash brick high tops. 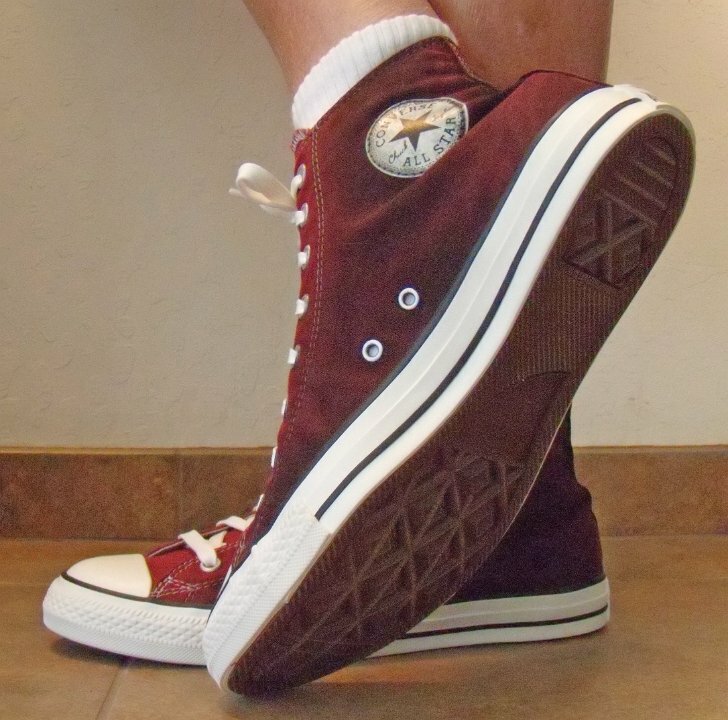 9 Brick Sunset Wash High Top Chucks Angled front view of sunset wash brick high tops. 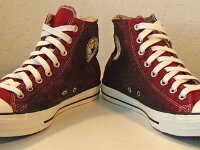 10 Brick Sunset Wash High Top Chucks Top view of sunset wash brick high tops. 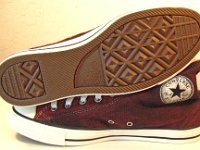 11 Brick Sunset Wash High Top Chucks Inside patch views of sunset wash brick high tops. 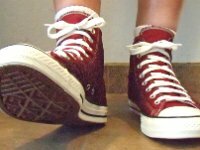 12 Brick Sunset Wash High Top Chucks Outside views of sunset wash brick high tops. 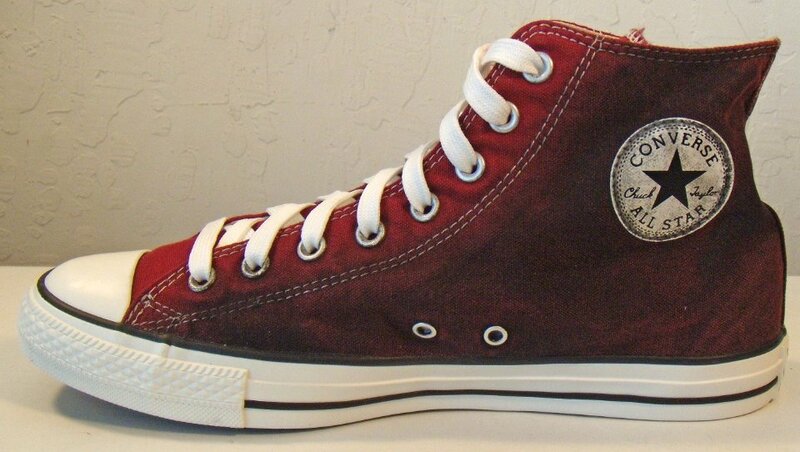 13 Brick Sunset Wash High Top Chucks Inside patch and sole views of sunset wash brick high tops. 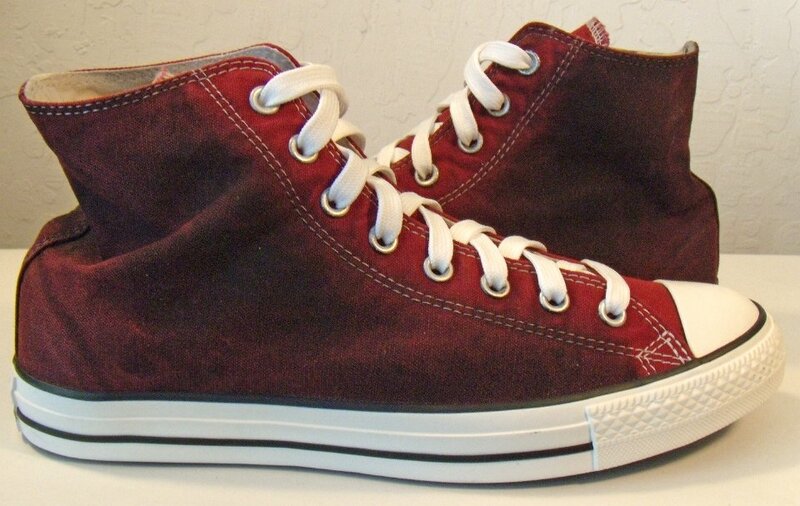 14 Brick Sunset Wash High Top Chucks Wearing sunset wash brick high tops, front view 1. 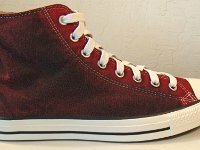 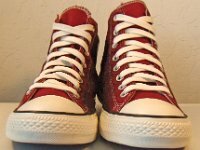 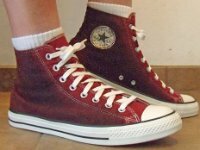 15 Brick Sunset Wash High Top Chucks Wearing sunset wash brick high tops, front view 2. 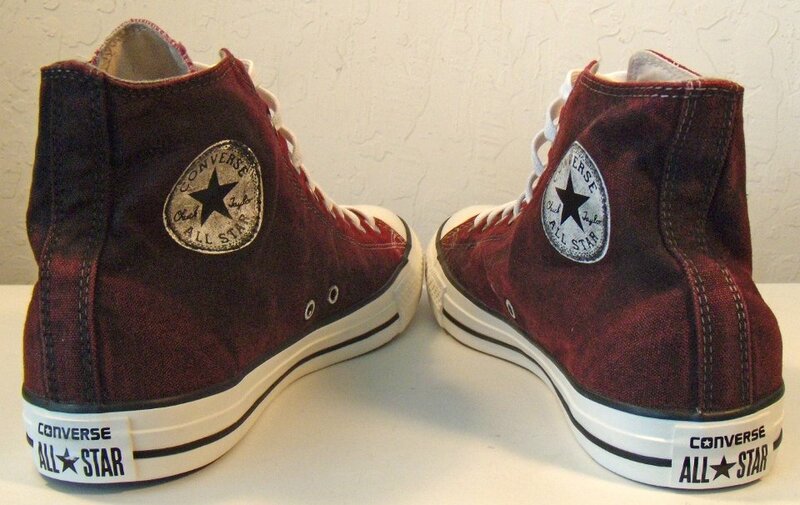 16 Brick Sunset Wash High Top Chucks Wearing sunset wash brick high tops, left side view 1. 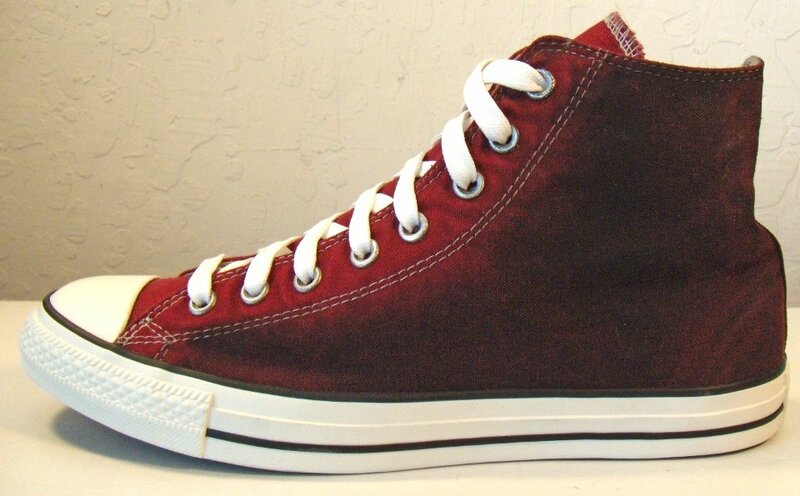 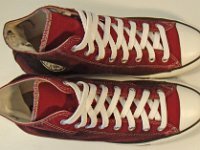 17 Brick Sunset Wash High Top Chucks Wearing sunset wash brick high tops, left side view 2. 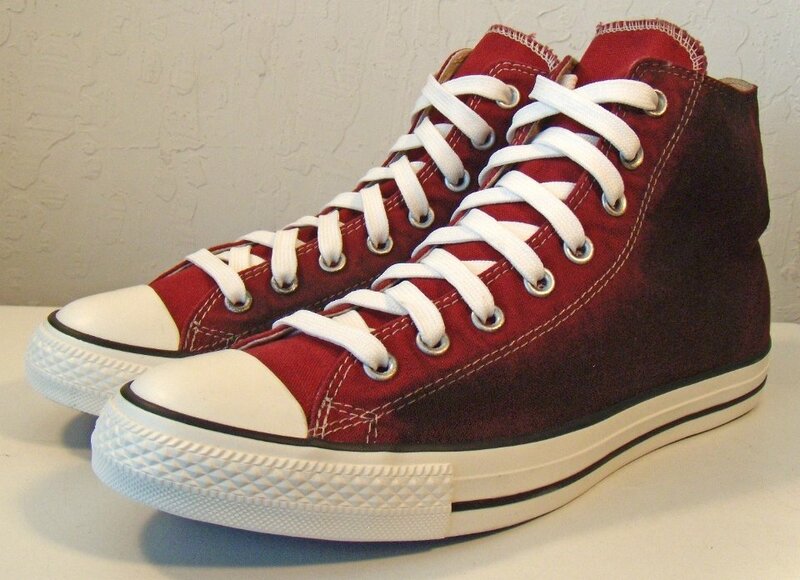 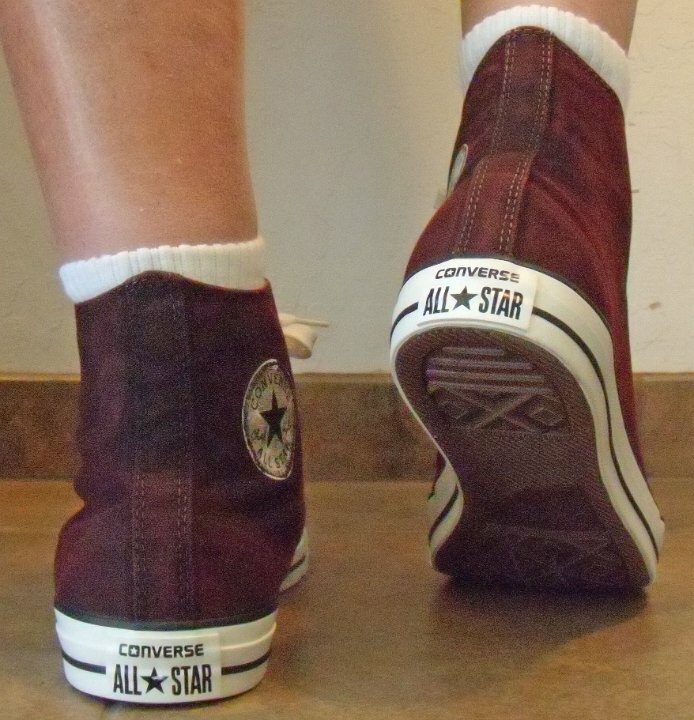 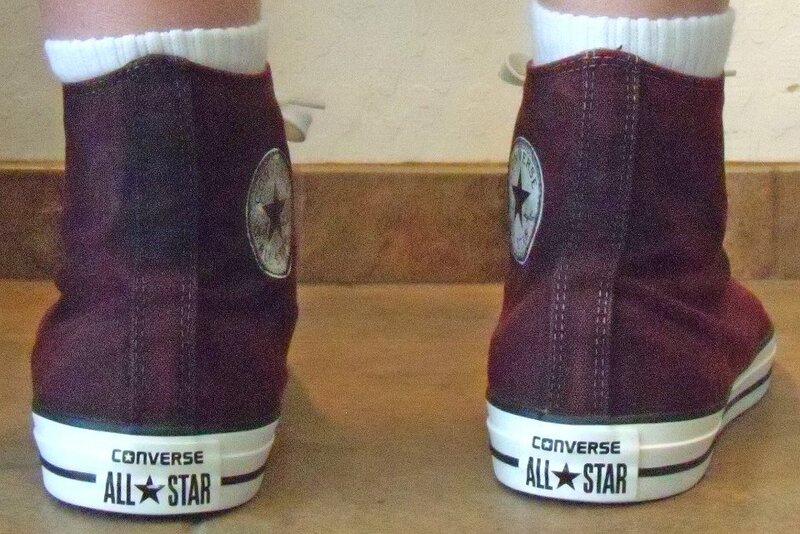 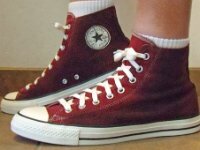 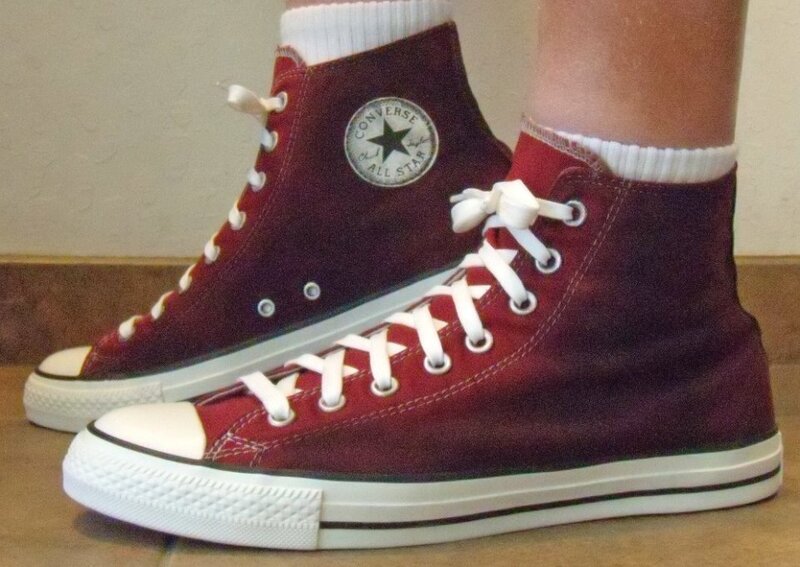 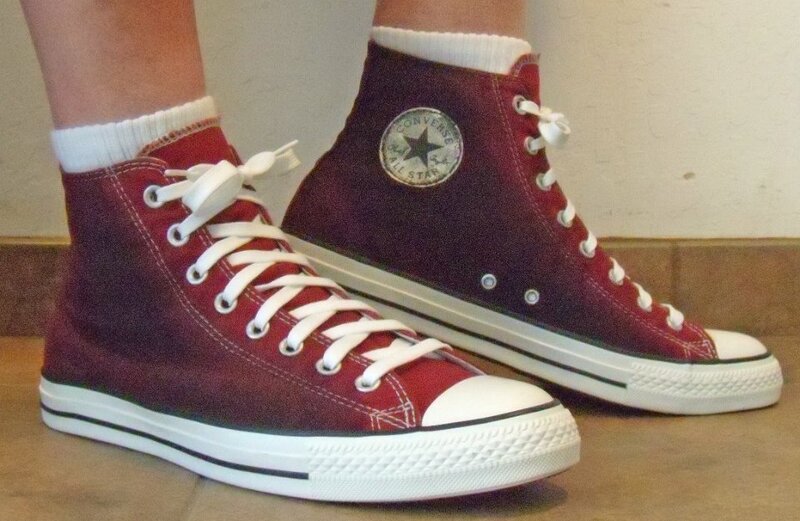 18 Brick Sunset Wash High Top Chucks Wearing sunset wash brick high tops, rear view 1. 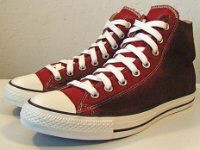 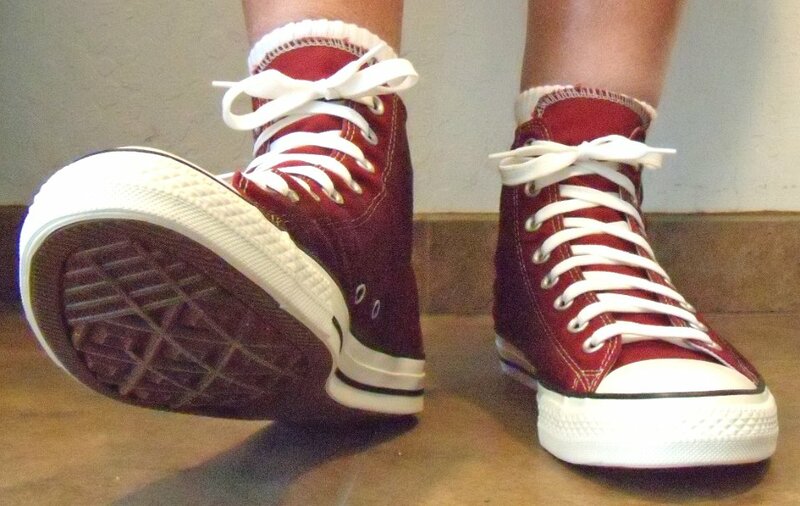 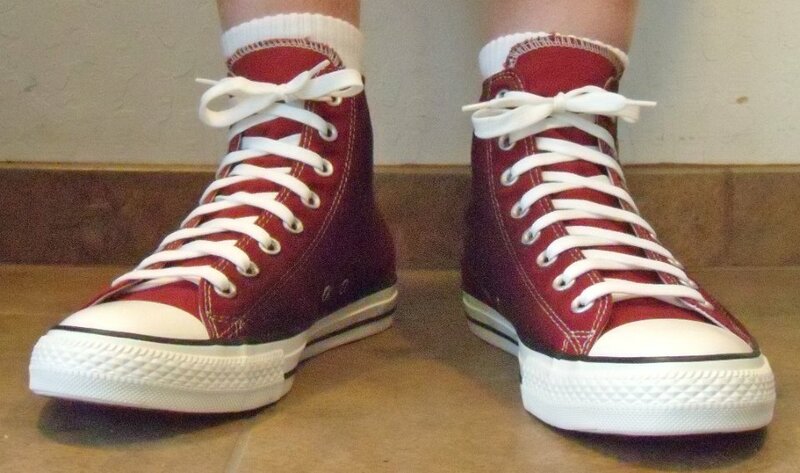 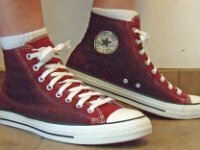 19 Brick Sunset Wash High Top Chucks Wearing sunset wash brick high tops, rear view 2. 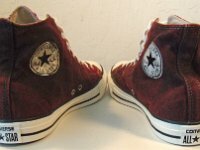 20 Brick Sunset Wash High Top Chucks Wearing sunset wash brick tops, right side view 1. 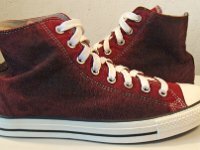 21 Brick Sunset Wash High Top Chucks Wearing sunset wash brick tops, right side view 2. 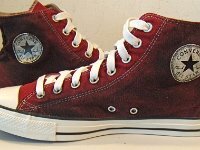 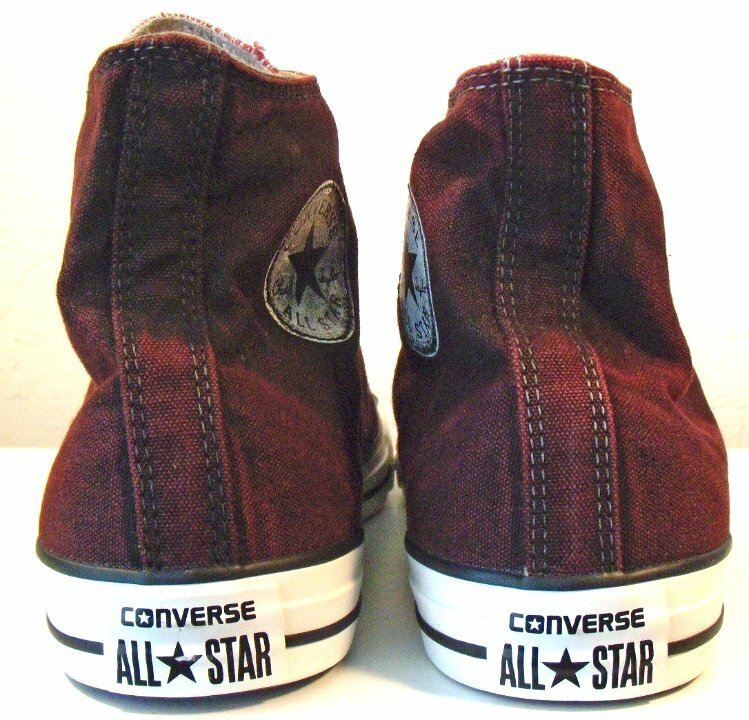 22 Brick Sunset Wash High Top Chucks Catalog inside patch view of a right sunset wash brick high top. 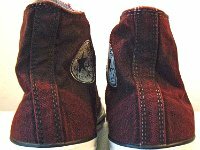 Sunset Wash chucks are a seasonal issue of 2016. 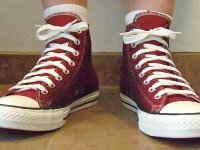 The line contains four high top models, four low cut models, some kids mid high models and one slip-on model. 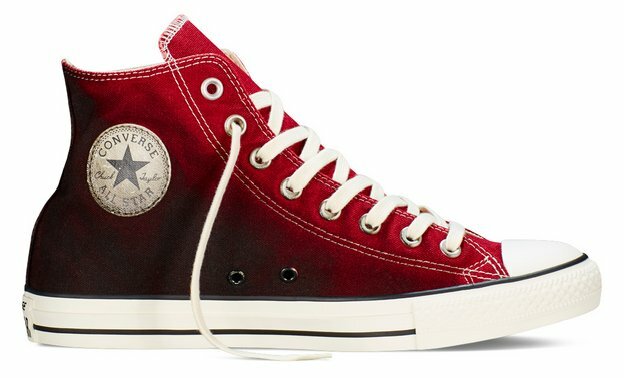 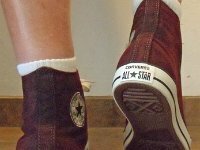 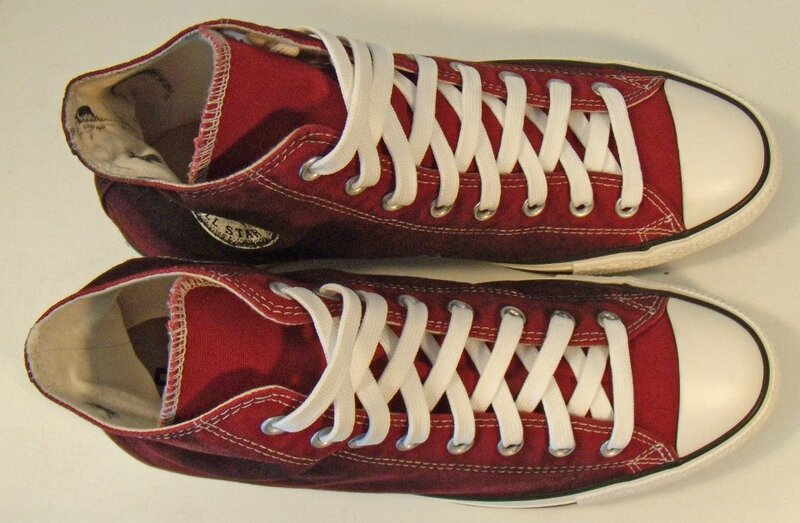 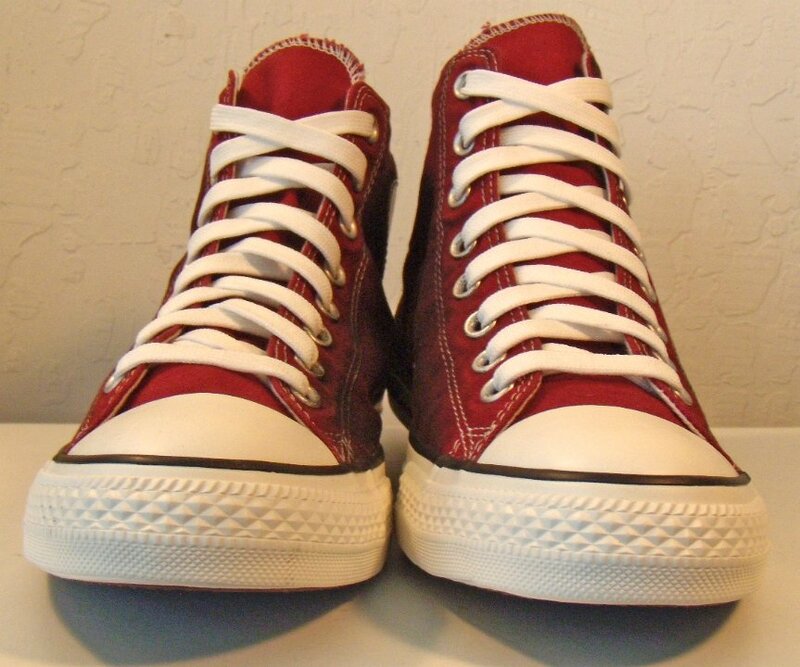 Converse described the line as "Inspired by what happens to your chucks when they stay in the sun too long, the Converse Chuck Taylor All Star Sunset Wash has a perfectly bleached down look that gets better and better every time you wear them. " 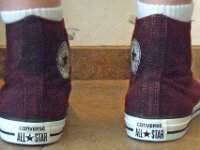 This galley shows the brick model.